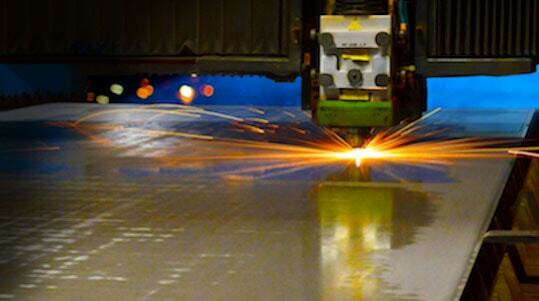 At Barnes Metalcrafters, we utilize the Prima Platino laser cutting system. The Platino cuts a broad range of materials and thicknesses and offers excellent cutting quality and the highest rate of accuracy. Any kind of steel, aluminum alloys, brass etc. can be processed with the highest speed and precision. 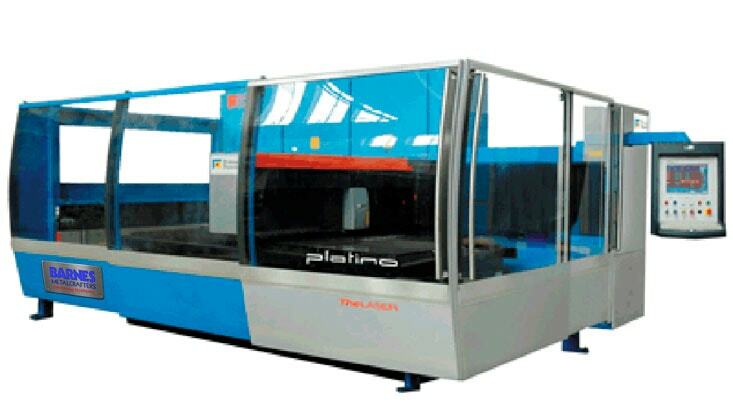 This machine has the capability to precisely cut out complex patterns, ventilation transitions, and industrial parts. 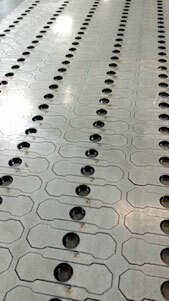 Repeatability in lot sizes from one to thousands. Flexibility is definitely the distinctive feature of Platino, a machine designed and developed for the needs of the sheet metal processing industry. Platino cuts a broad range of materials and thickness with speed and precision without the need for manual adjustment.